Tech-savvy bibliophiles around the globe have frequently asked for a “Netflix” for books. However, what they seem to be forgetting is that this service already exists. It’s called the library. However, as with anything publicly funded, the digital side of libraries has been slow to grow. In 2016, Publishers Weekly reported librarians’ general worry over the expense of ebooks. And a 2017 report from the Library Journal indicates that on average, libraries allocate only 9 percent of their budget to ebooks. Because of this slower growth, a couple of other subscription-based ebook services have popped up. That being said, there are a few reasons to choose the local library for your ebook needs. First of all, it’s free! The quality of the titles is another reason. While some of the other services may boast more titles, they often pad their numbers with whatever cheap publication they can find, and these are often self-published ebooks. A library’s titles are chosen by the readers and the highly trained librarians. Libraries also support small publishers and self-published books through programs like the Library Journal self-e, which focuses on local authors. 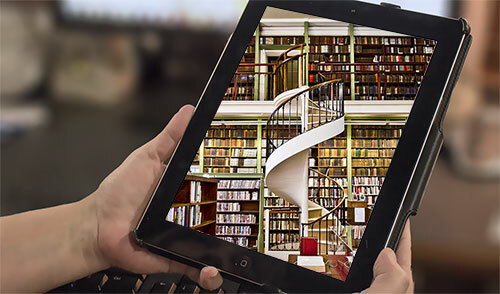 Overdrive, the leading ebook lending service, connects to thousands of libraries around the world, and just celebrated their 1 billionth ebook rental. Overdrive has millions of digital titles, and any library can acquire any number of those titles. This is where the budget comes in. The more the digital services are utilized at a library, the more of the library’s budget can go towards ebook titles. Overdrive is easy to sign up for and use. They’ve even instituted a digital library card program, so now you really can download the app, get a library card, and borrow dozens of ebooks all without ever leaving your home. Of course, it’s mobile too! Ebooks are great for traveling, and there are even some airport kiosks that offer temporary library cards for travelers (a service soon to be obsolete with the new digital cards). Libraries are important. This is a sentiment most book-lovers, students, and publishers agree on. Like most services that are publicly funded, libraries must remain important in the public eye in order to retain their funding. This means that readers are important to libraries. Unfortunately, the Multnomah County Library has some alarming numbers to report: this year, only 55 percent of those polled thought it would be a great loss for a library to shut down. This number fell from 71 percent in the last ten years. While libraries may be a little slow keeping up with the fast pace of the digital world, they are working hard to do so. Now it’s up to readers and book-lovers everywhere to embrace and support their local libraries as they continue to adapt to the public’s needs.